Feeling a sharp pain at the rib cage, along the ribs, is a disturbing, sometimes frightening experience for many people. 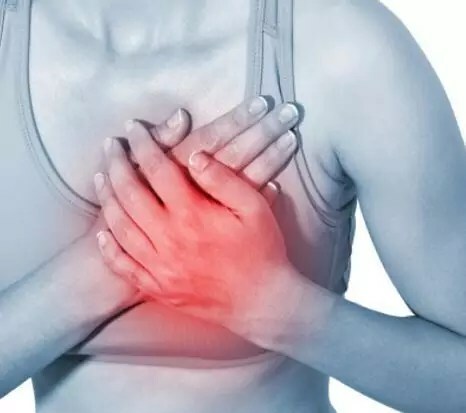 Many people wonder, then, if they are not experiencing serious cardiac or pulmonary discomfort. A thoracic palpation done with care by a chiropractor will eliminate any uncertainty by quickly informing you about the nature of your discomfort. The intercostal pain comes from a mild inflammation of a nerve that runs along a rib cage, which many call intercostal neuralgia. This pain manifests itself abruptly. Often a movement of the spine, incorrect posture, breathing, coughing or even occasionally speaking only seriously amplify the pain. Inflammation is not a disease but the reaction of a tissue that is attacked. Nervous tissue, such as a nerve, can be physically attacked by friction on a rigid wall such as a bone, or chemically, by a toxic substance, by a microbe or a virus or by an antigen, ‘transplant. In the case of intercostal pain, aggression of nervous tissue is usually physical. It is the friction of a nerve on neighboring bone tissue. This is the case, for example, when a nerve rubs on a vertebra, where it emerges from the vertebral column, or at the junction between the column and the rib that it borders. Sometimes he gets irritated by rubbing himself on the coast. This occurs when a rib or a vertebra is subluxed. The causes of intercostal pain are varied. They can be caused by sudden movement, fall, fracture or false movements. Sometimes these pains are associated with rheumatism or arthritis. Some pregnant women have a progressive weakening of the musculoskeletal system due to the overload on the spine caused by the pregnancy, causing intercostal pain. A medication can alleviate pain, but … Most nerve pain, caused by a nerve, can be diminished by analgesics, but these drugs will never correct the problem. It will persist and may even get worse and chronic. Intercostal pain is usually due to neuro-musculoskeletal problems, which is not treated with drugs. In such cases, the chiropractor must perform orthopedic and neurological examinations and take some x-rays to properly identify the real problem you are suffering from. Most neuralgic pains, those caused by a nerve, can be diminished by analgesics, but these drugs will never correct the problem. It will persist and may even get worse and chronic. Intercostal pain is usually due to neuro-musculoskeletal problems, which is not treated with drugs. In such cases, the chiropractor should perform orthopedic and neurological examinations and take some X-rays to properly diagnose the real problem you are suffering from.